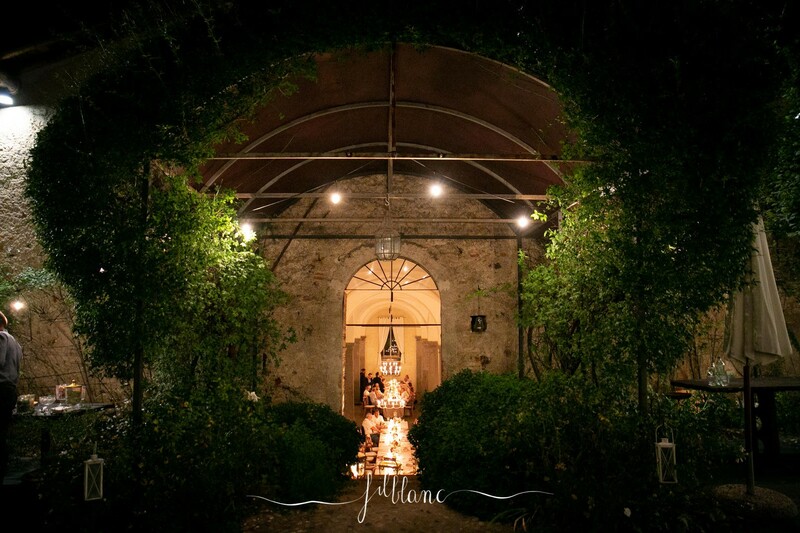 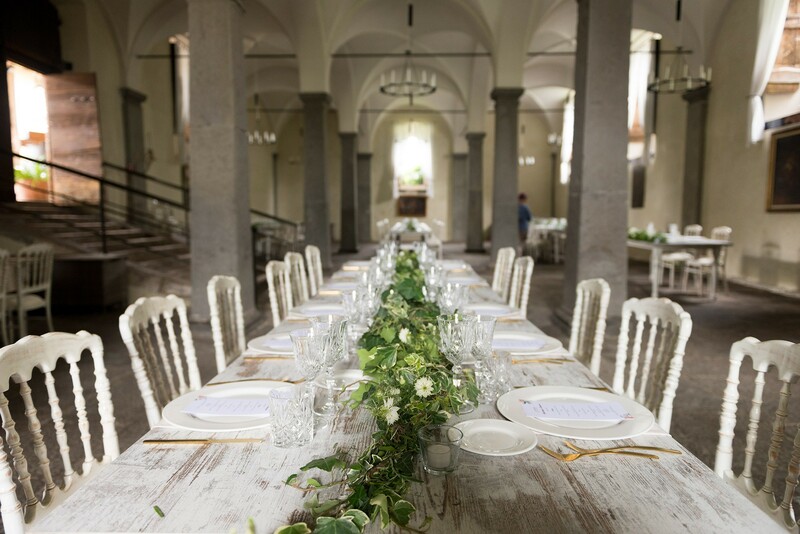 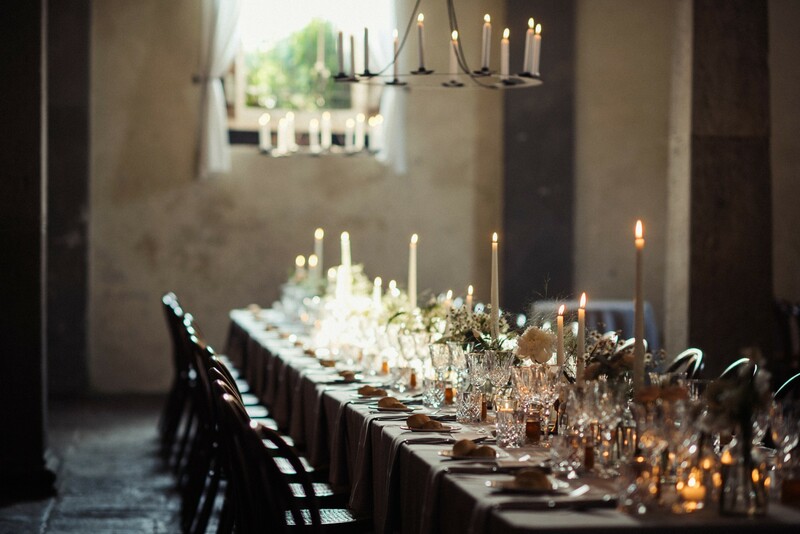 Ancient heroic deeds, sacred rites, noble intrigues, parties and banquets: the air and court charm come back to life at the wedding entertainments in the castle in Franciacorta, an area rich in history, timeless villages, excellent wine and timeless tradition. 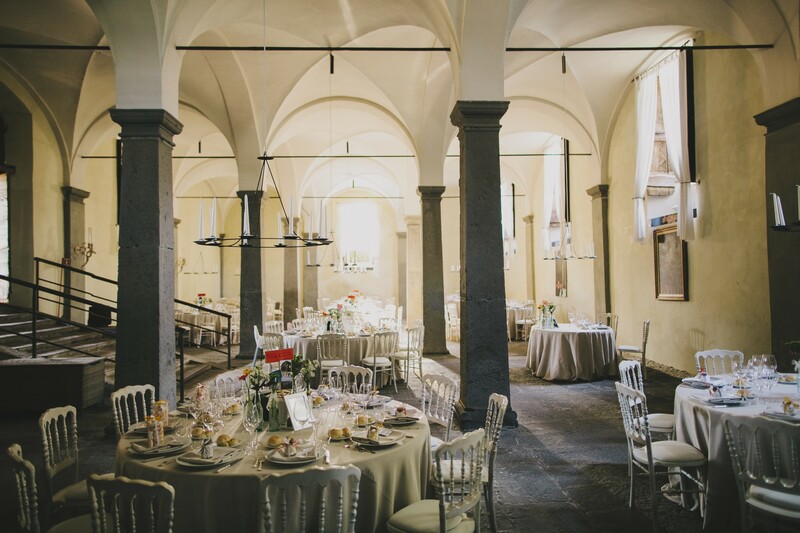 Castello Quistini is one of the last bastions of this culture: built in 1560 on request of the nobleman Ottaviano, as a fortified residence, substitutive of the Castle of Rovato, at the very beginning it has been called Palazzo Porcellaga, in honor of its founder. 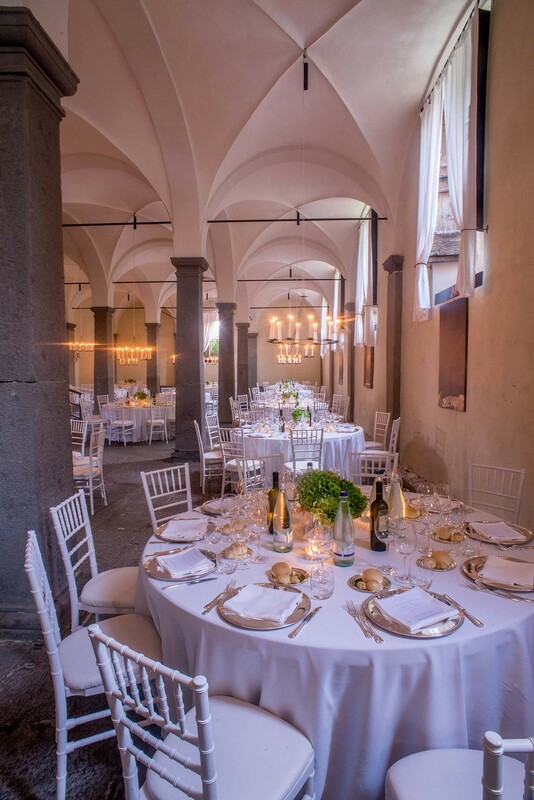 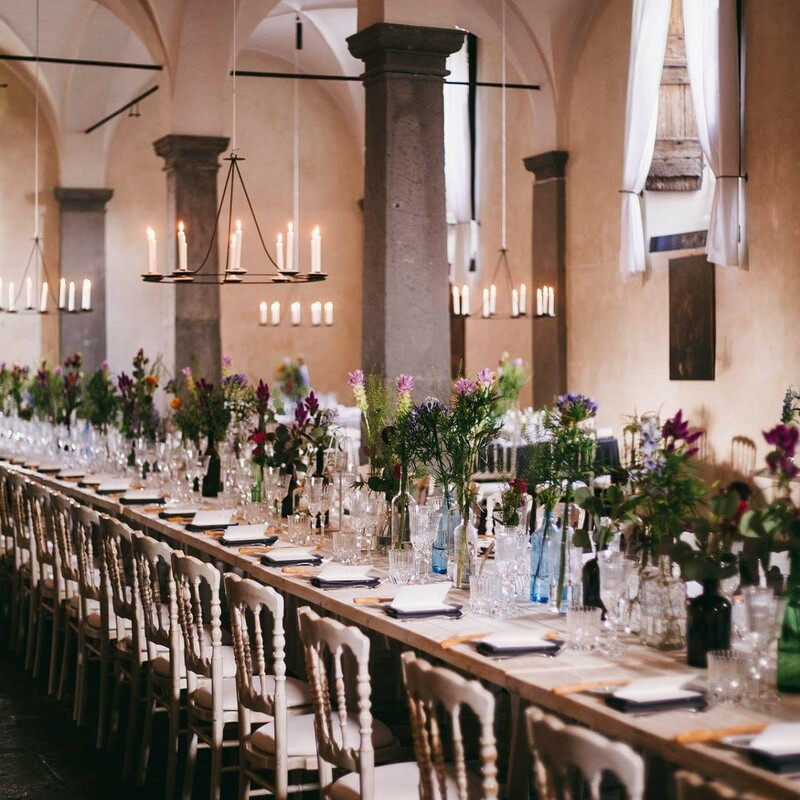 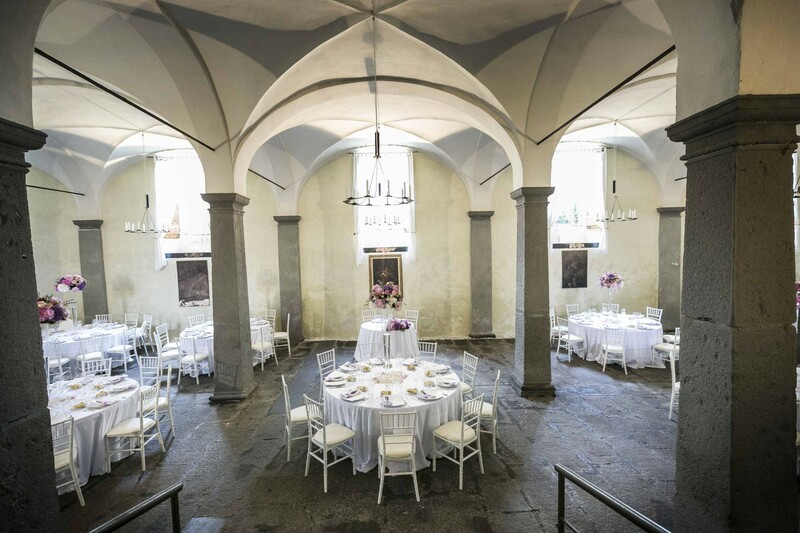 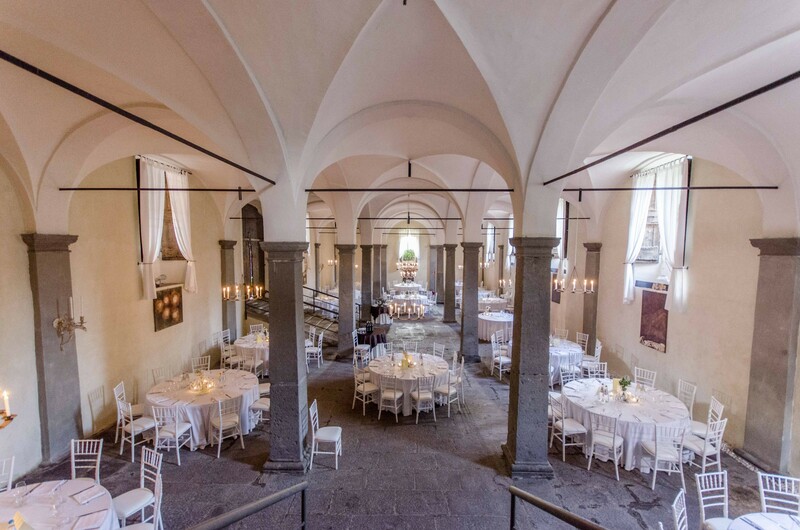 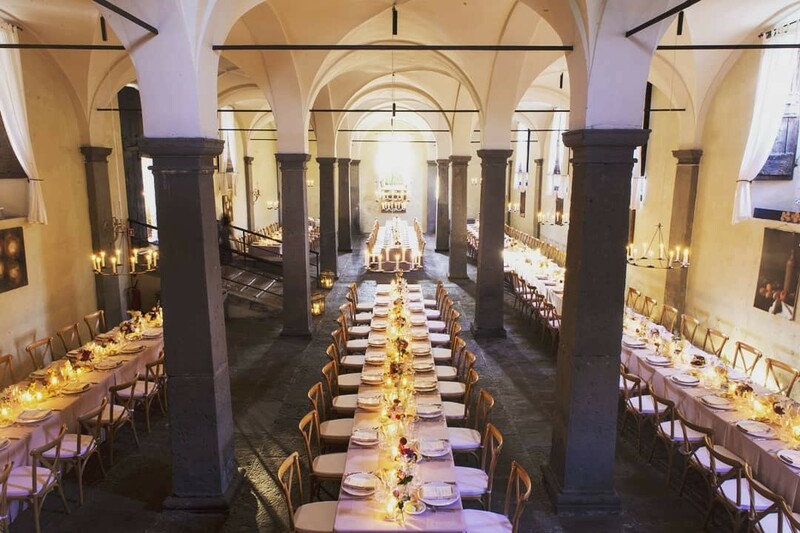 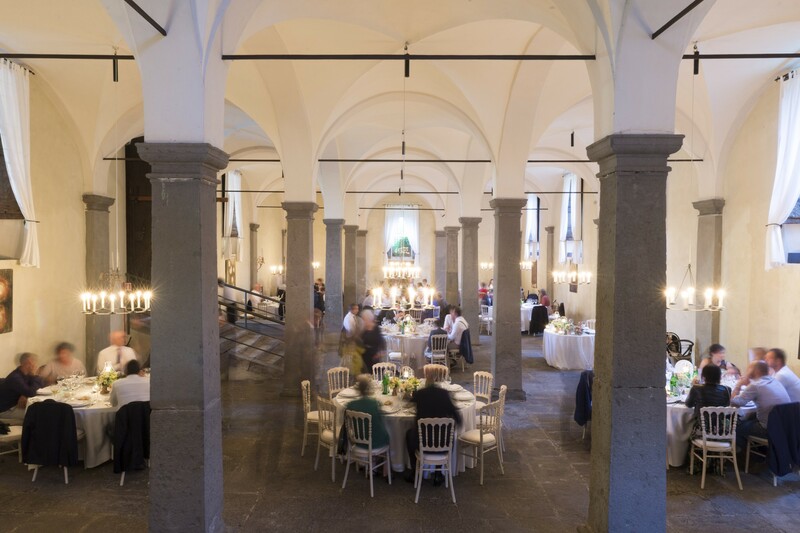 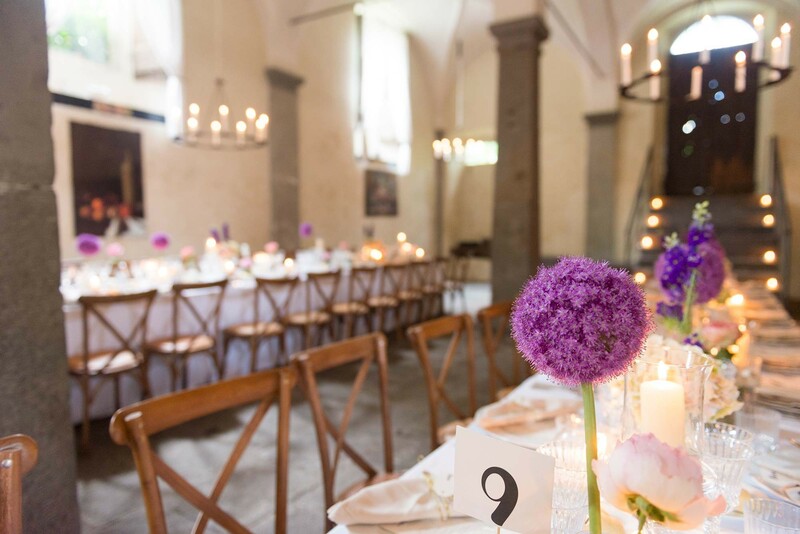 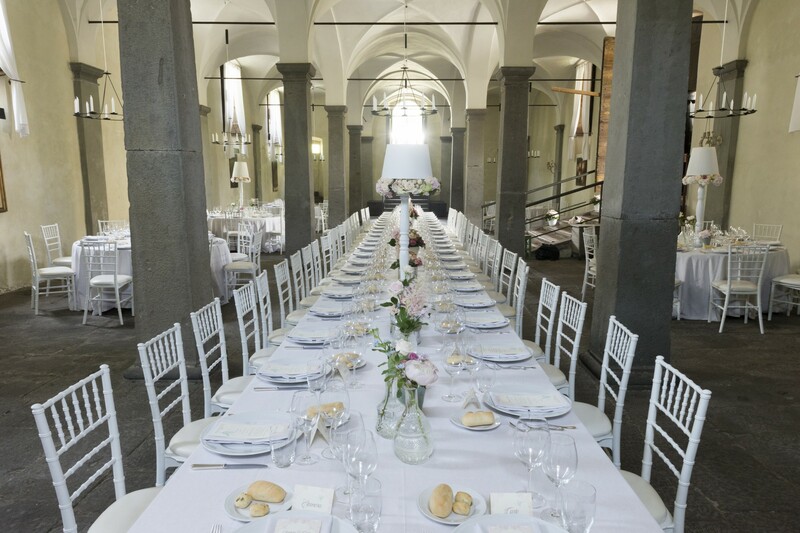 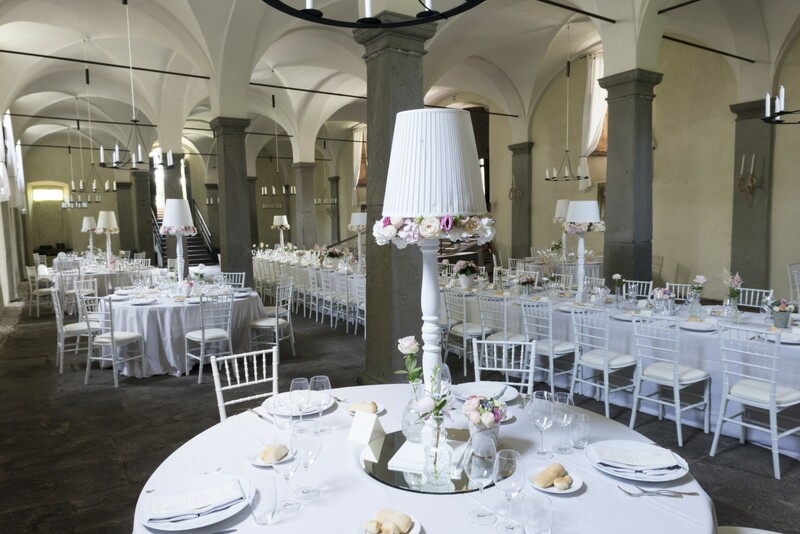 In your most special day you can use the ancient Column Hall, which can host up to 200 people; the lively Grotesque Room, for more intimate receptions, up to 30 people; or the beautiful arcades and surrounding gardens. 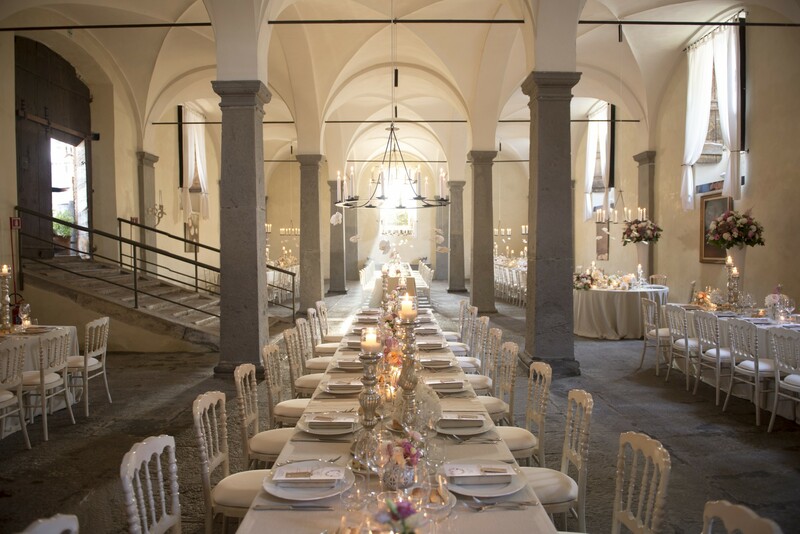 Imagine the most beautiful day in the most ancient and important room of the architectural complex: a ceiling entirely covered by cross vaults, supported by eight pillars in precious Sarnico sandstone with a base attributable to the Tuscan order, a room that has been the protagonist of the most important and ancient functions of the castle, full of culture, intriguing stories and remote legends. 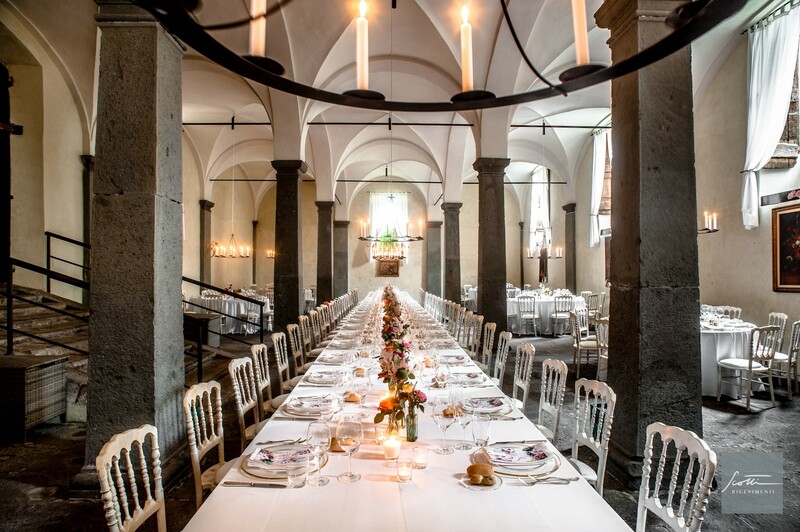 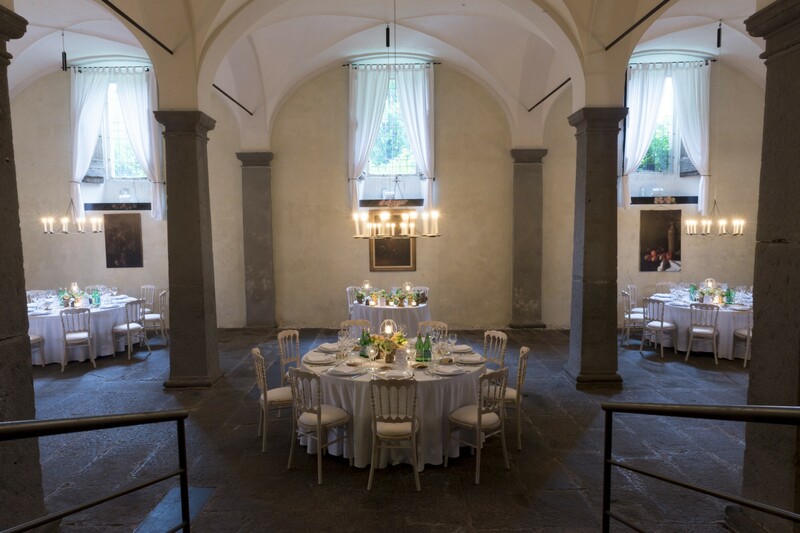 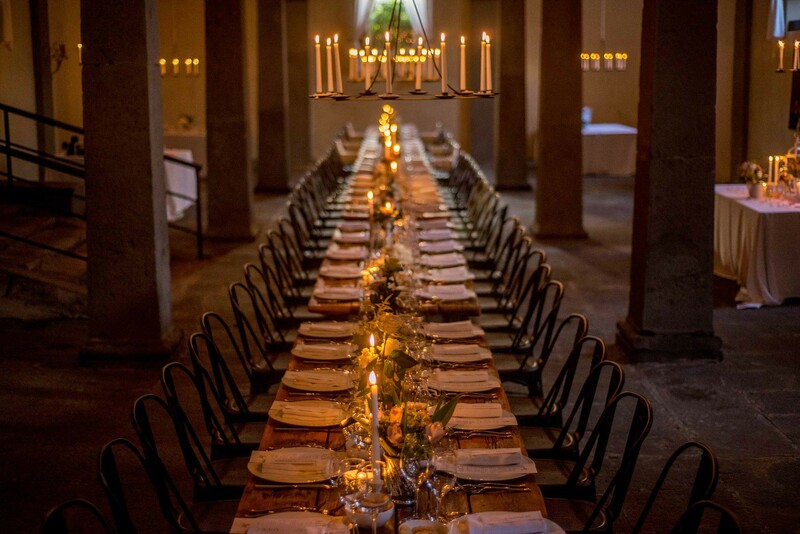 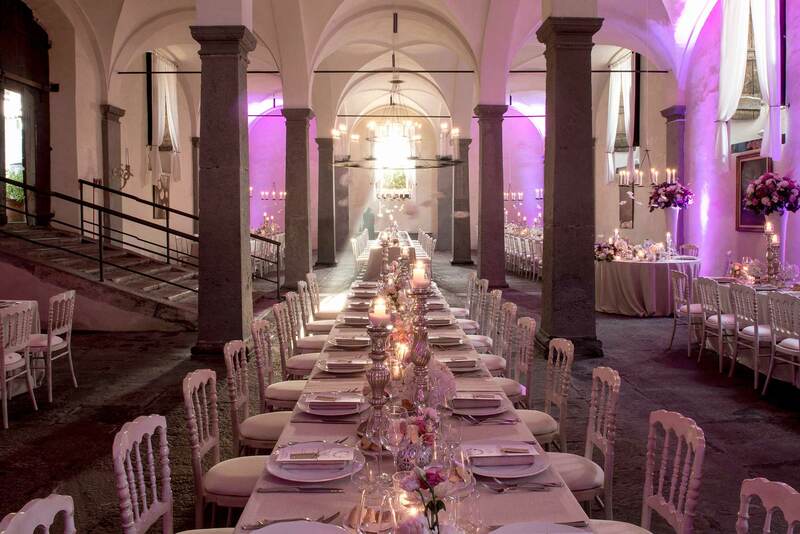 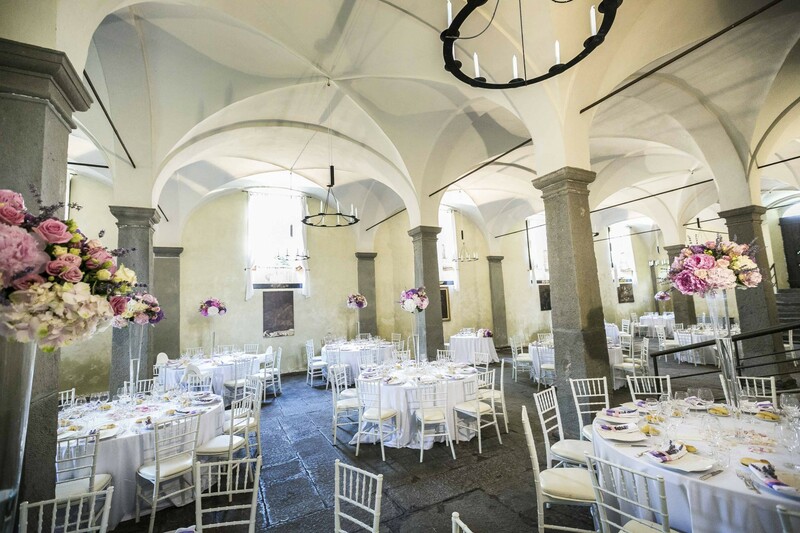 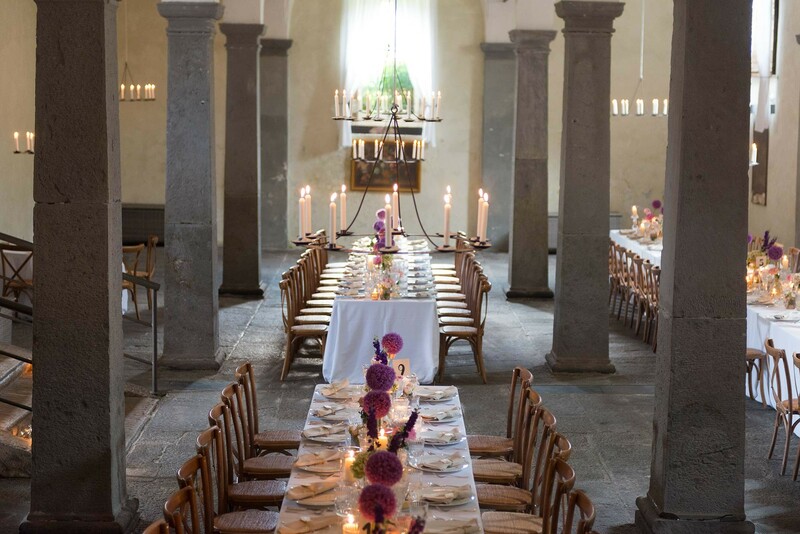 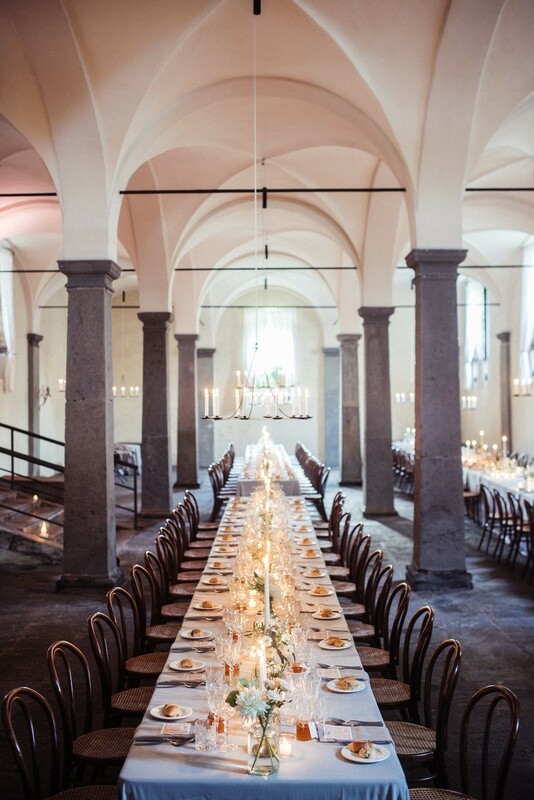 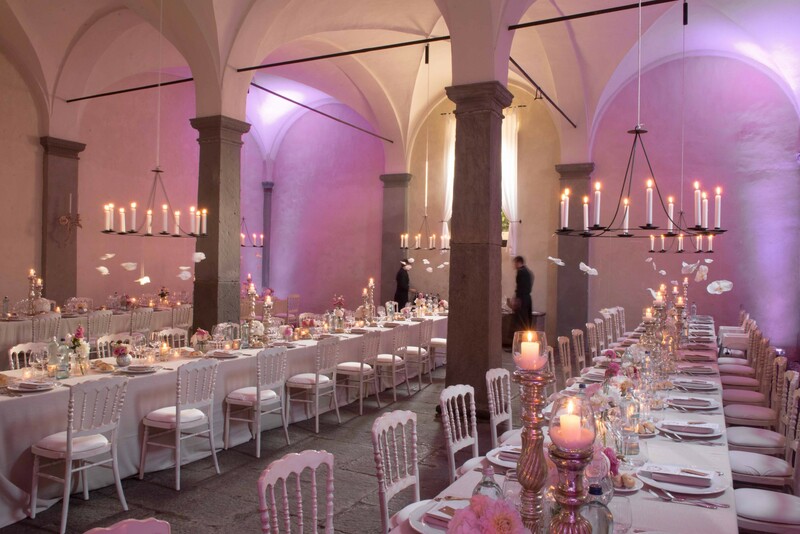 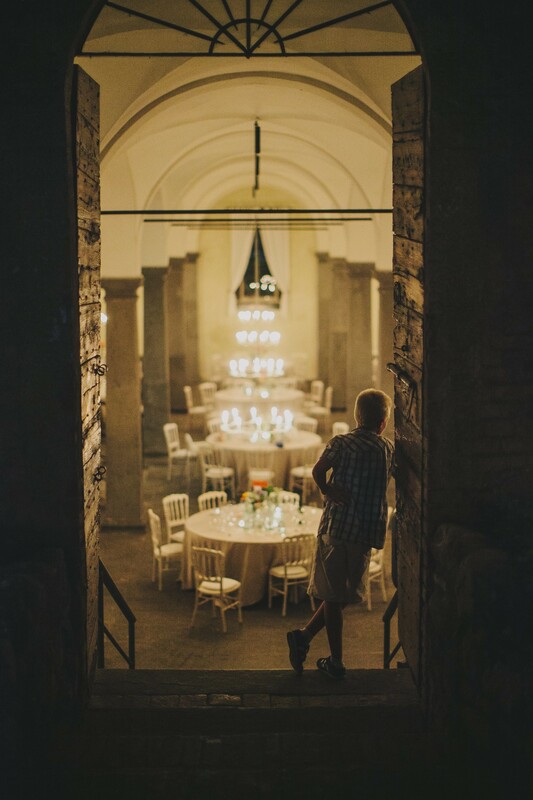 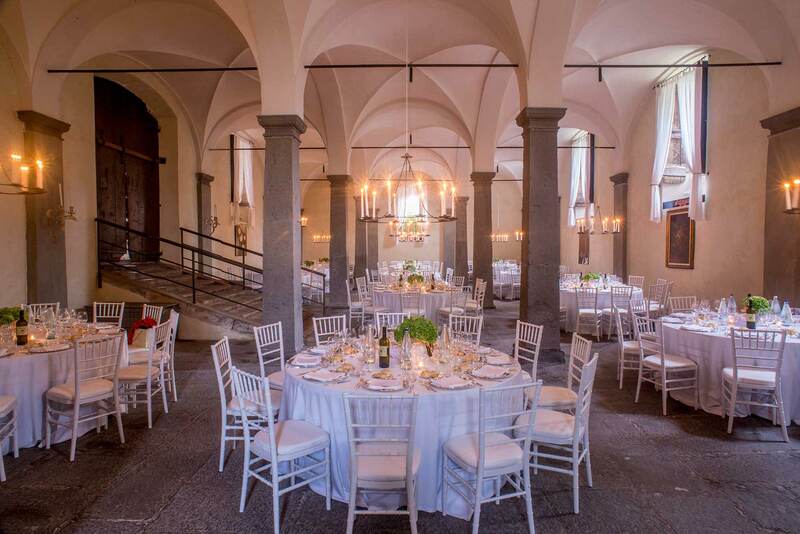 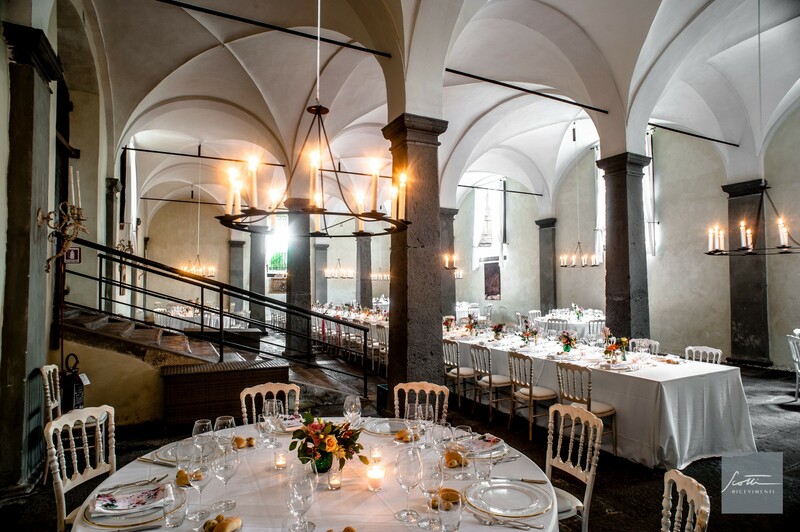 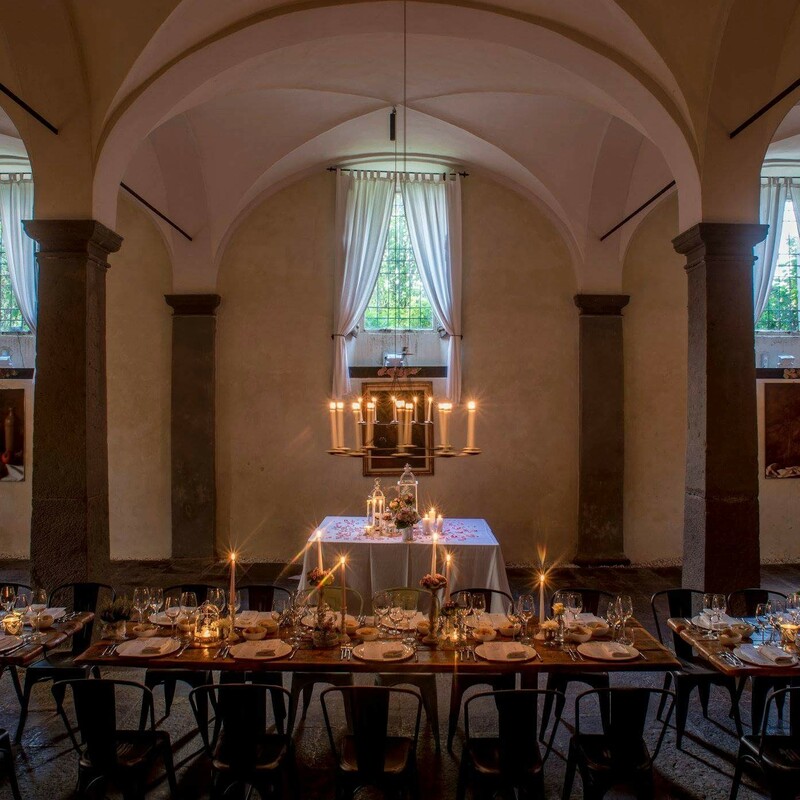 With a capacity of 200 people and several areas equipped to better manage the crucial moments of your wedding in the castle, the Column Room is a sought-after place: ancient candelabra, stones steeped in tradition, a never banal space, in order to offer a fairy tale atmosphere with unique emotions. 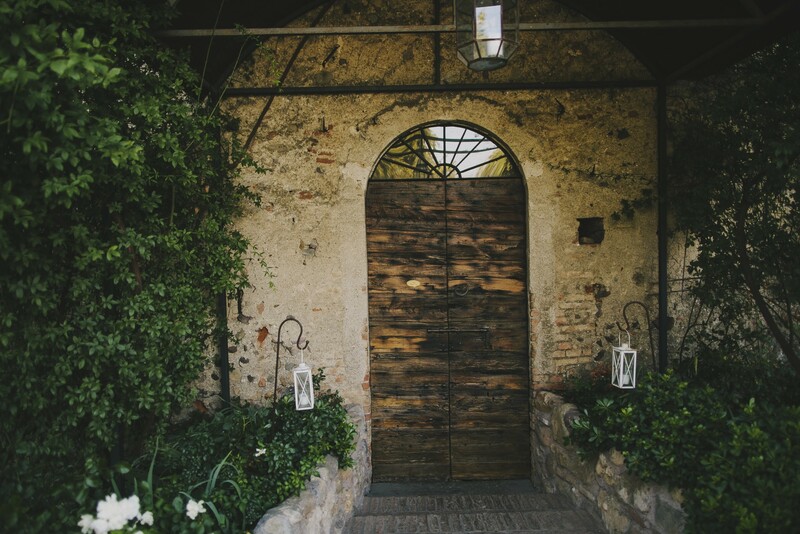 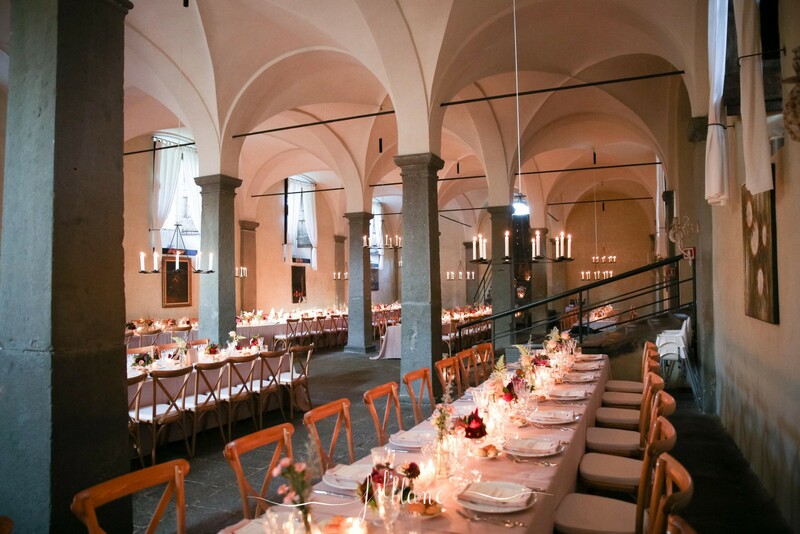 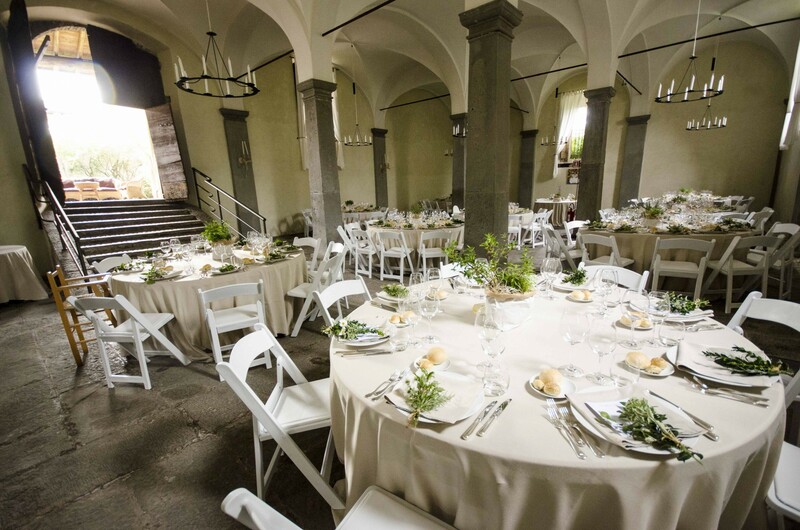 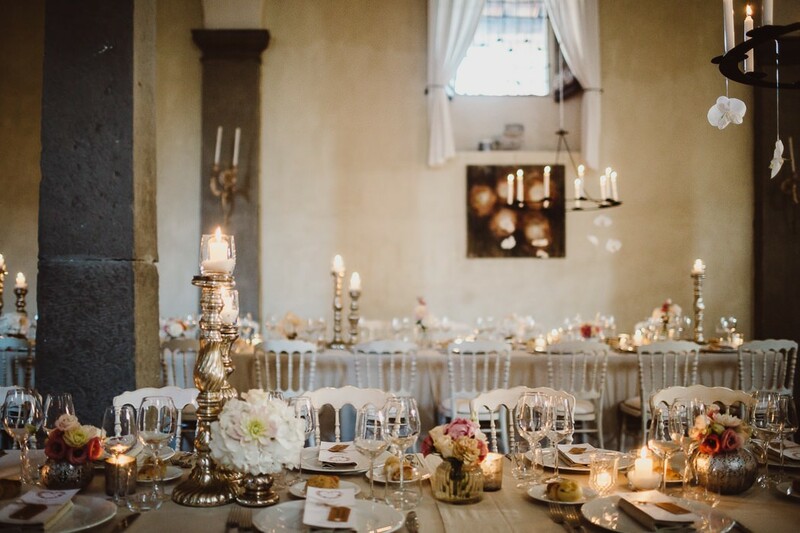 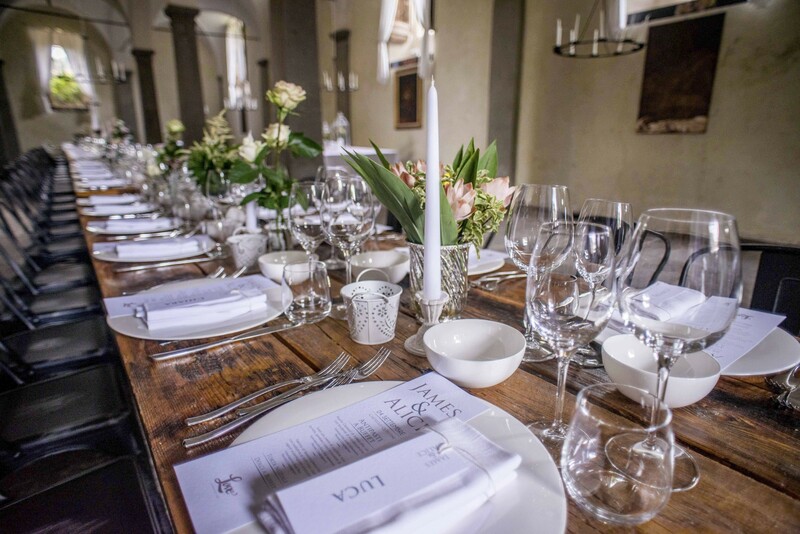 To host intimate wedding parties in the castle in Franciacorta, the location offers the possibility to set up the reserved Grotesque Room: a versatile and particularly scenographic space thanks to the picturesque stencil decorations surrounded by the grotesque masks adorning the walls and, thanks to the composed Venetian floor, a sort of mosaic of small fragments of marble, typical of the "Venetian" period of the structure. 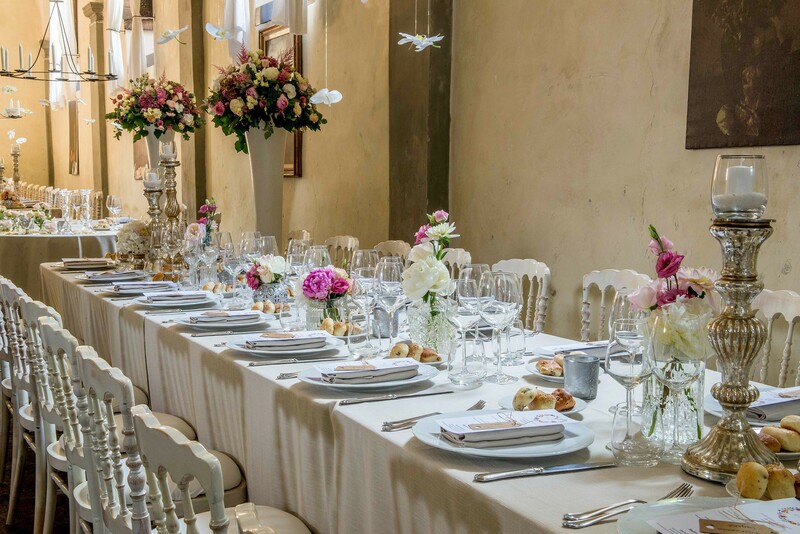 A discreet place where private wedding parties can be organized, restricted to a few dear friends or relatives to share the special moment of your wedding.